If you are looking for information on the Amman to Petra bus, you are in the right place! If you want to visit Petra from Amman and do not have time to spend the night, then the Amman to Petra bus with JETT is your best bet. JETT stands for Jordan Express Tourist Transportation and it is one of the coaches that allow for a day trip to Petra from Amman. Amman to Petra Bus leaves at 6:30am everyday from the Amman JETT Abdali station. You can call in advance and reserve your tickets, and then pay when you get there. Yes, it makes for an early morning, but make sure you get to the bus station early, in time to pay for your ticket, have your bag checked (some times they screen luggage). JETT recommends 30 minutes. To get to the JETT Abdali, any taxi driver will know where to go. If you want to find it directionally based on Amman’s 8 circles, ( I always find that is the easiest way to orient myself ), it is off the 4th circle. I have pasted a map below that should help! It doesn’t look like much, especially if you are arriving in the dark, but there will likely be other passengers who are making the Amman to Petra daytrip. How long does it take to get to Petra? 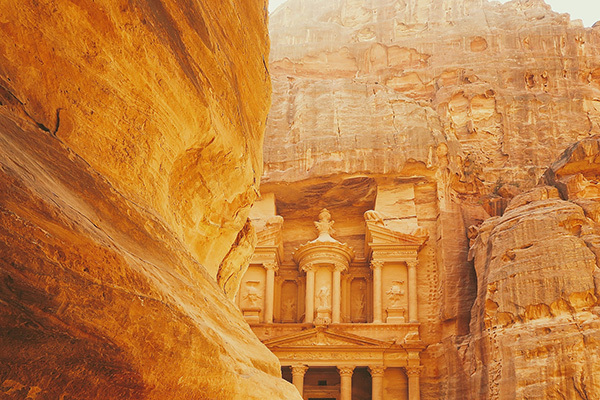 The bus from Amman to Petra takes about 3.5 hours and you should arrive to the Petra Visitors Centre around 9am. This gives you a full day to spend in Petra. Who you travel from Amman to Petra on JETT, there is a hostess that serves drinks for a small fee. It is about one half dinar for a Nescafe. If you want to know more about the desert highway and what to expect on your trip, you can read my comprehensive guide on getting around in Jordan. How much does the JETT bus Amman to Petra Cost? Petra to Amman bus leaves Daily at 5pm for your return journey to Amman. Again it takes about 3.5 hours and you will get back into Amman around 9:30pm. BUT make sure you check with the driver in the morning when you get off, as the schedule can change. You can also buy your return ticket either before you leave Amman, or from the agent where the bus parks. 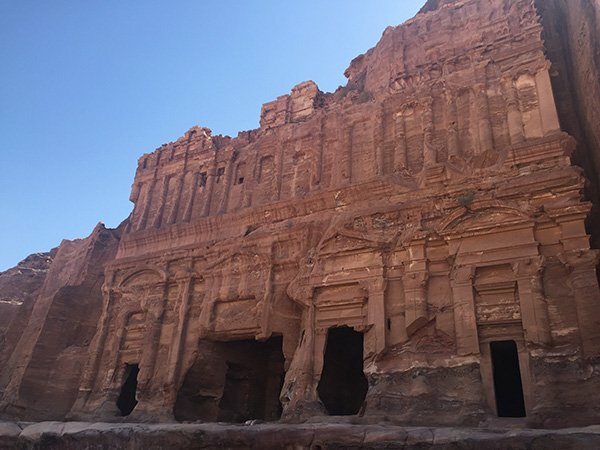 I highly suggest that if time allows, spend at least one night in Petra, get a two day entrance ticket, and give yourself a second day to enjoy the site. After the long bus ride, you know how bus rides are exhausting doing nothing, you will not get the most out of your day if you just see Petra once and then hop back on a bus to Amman. But, if one day is all you have, I hope this info will help you make the most of your day! If you have taken the Amman to Petra transportation on JETT and have time to spend the night, there are a range of hotels from five stars to hostels. I have stayed in Movenpick Petra, Candles Hotel, Petra Palace, Edom Hotel, Marriott Petra and a few hostel style places. Let me know if you need more info on them or Click to read reviews on Trip Advisor. 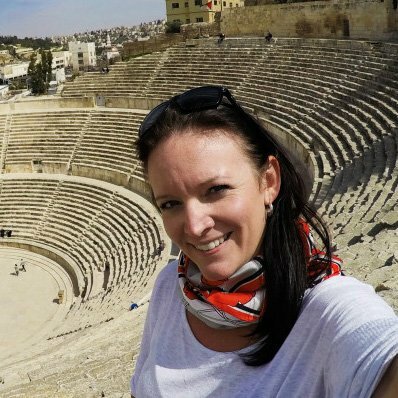 You can get more comprehensive information on my destination section on Jordan. My most popular Jordan post is probably Is Jordan Safe? and my Jordan Packing List! Have a read if you like! 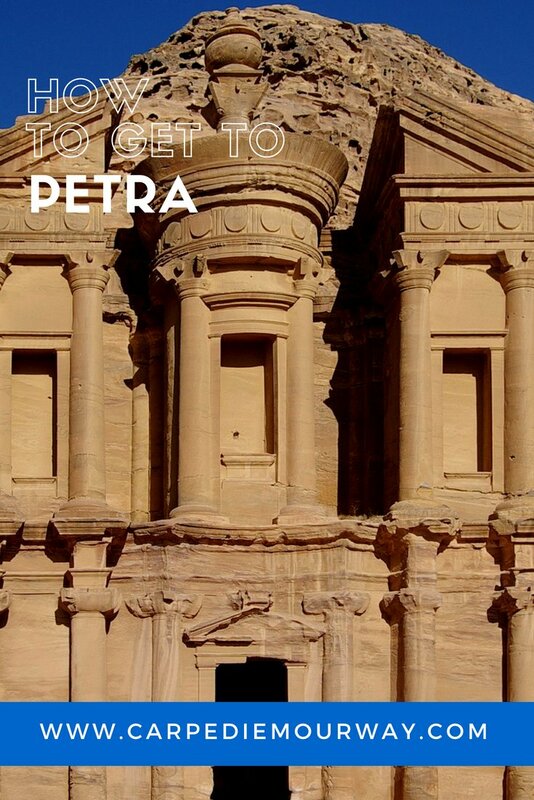 IF you have any other questions about how to get to Petra from Amman, let me know! Very helpful! Thanks so much for this info. I’m a female Australian having to travel to Jordan for work next month and was a touch apprehensive given the DO NOT TRAVEL warnings from the Australian consulate. Sounds like they are being overly careful. yes for sure they are being very careful. The USA and Canada warnings are the same! but go and enjoy, I am sure you will! Hello from Czech Republic. We are going to Amman with my husband from 11 June to 18 June. only. Arrival 17.30 departures 18.30 o clock. I booked Amman Pasha hotel and Rama for last day. I m not sure about our itinerary. I can cancel hotel without problem for now and change. Pasha is next Citadel and Rama is around other good things there. We would like visit sure Citadel,Theathre, Hercules palace, souk, mall in Amman.Also Dead Sea. 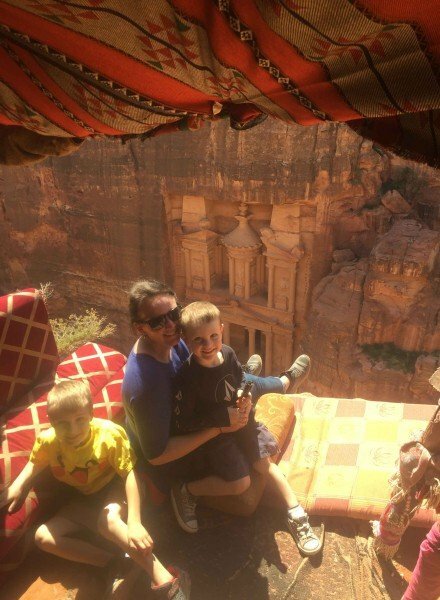 Important is visit Petra and Wadi Rum but per day better. If will will have free time also Aqaba and Red Sea for one day. This take time for spend night at Wadi Musa. Give me please good advice I need save money for us is it very expensive country. We want to see 4 places sure about what I wrote up. We need not wated time. Im thinking about the Jett bus but what about our one luggage 60x40x23cm? After arrival to Wadi Musa we need first hotel…I thing. Sorry for my english maybe. Thanks Jitka for us 1 JD = almost 33 czech krone! perhaps this itinerary will be helpful to help your organize your trip. this itinerary is for self driving, but you can take a few legs with the JETT bus. It is an expensive country to travel in so you need to budget to be able to see all of the things you want to see! Let me know if you have any questions after reading the itinerary!